What a view from this hilltop setting overlooking the valley below!!!! 3 Bedrooms, 2 Baths, basement & an attached 2 car garage. From the front covered concrete porch access to the home's living room with closet, dining room with sliding glass door access to the rear wooden patio. Basement with washer & dryer hook-ups. Home is in need of TLC and some repairs but with some work could be a nice home! Approx. 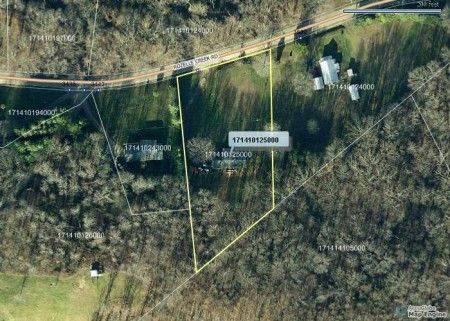 1.59 acres located a mile off of US Rt. 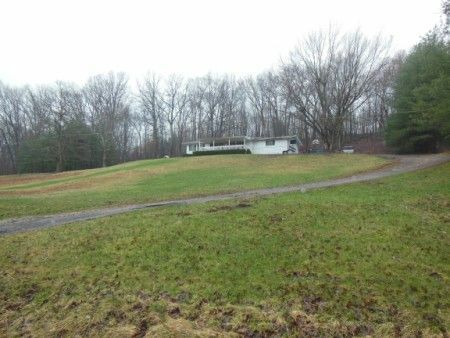 23 - quick access to town & the highway. Taxes & Legal: Ross Co. Auditor Parcel No. 17141012500; Net Annual Tax: $889.90; Huntington Township; tenant rights apply; Sale Type: Short Sale.